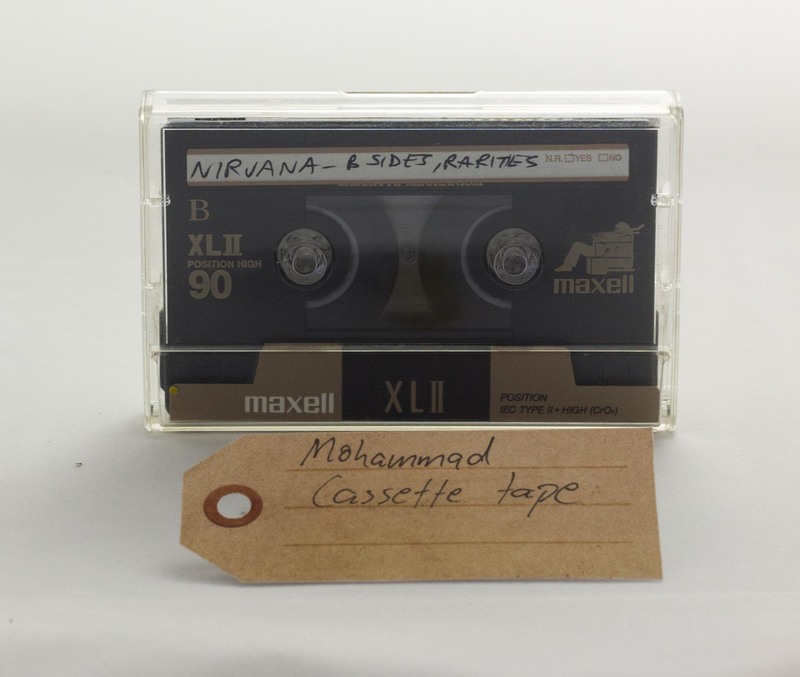 Cassette tape | That Belongs in a Museum! We were the kind of kids who were rejects and slackers, you know, never got picked for the baseball team, you know what I mean. We used to cut school and listen to these tapes in a big field with something like a really cheap Colby tape deck. We found these record stores that sold these bootleg tapes of all sorts of compilations. […] When I first heard Nirvana, I had this epiphany, you know, like, ‘Oh my God,’ it sounded like Heaven. […] One day Sam, out of nowhere, he found this B Sides and Rarities. […] There are tracks on there that have never seen the light of day, except on that bootleg tape.